This is a kind of allowance that you can receive each year without paying any tax for it. This allowance depends on the person’s age as well as total income for every tax year. The total income is the money that you get from taxable sources. This will include interest on savings as well as pension contributions. This is automatically acquired if you are already working and if you are paying your taxes. If you are blind (certified), and you are registered in your local authority, you can claim a blind person’s allowance, this is similar to a personal allowance since you do not have to pay tax on the money you get. In certain countries like Northern Ireland or Scotland, if the person cannot work in a job that requires eyesight, then you can also claim for such an allowance. This is an extra form of income that you can get every year without worrying about the tax. If you are married or in a civil partnership, you are entitled to a married couple’s allowance if the couple is proven to be living together. This allowance can reduce the tax costs for maintenance costs that a person makes to a previous partner or spouse. Again, this is tightly knit with the previous allowance since the couple or one of the spouses must be born before April 1935.the relationship or marriage must have been legally considered as divorced or separated. If you are an employee, self employed or a director, there are allowances that you can get that can reduce taxes. For employees as well as directors, there are tax reliefs for expenses that you paid with your own money like travel costs that are related to the job and any other tasks that are related or are about your job. If you are self employed, you can get some tax relief for the expenses that you incurred specifically for the business. It is highly recommended to save for the old age. That is why there are tax reliefs for pension contributions. This depends on the kind of contribution. It could be consumer or public service and it could be personal pension plans. For the prior type, the employer will take the contribution before removing the tax but on some forms of public contributions, the tax is only applied on what was left behind. The latter one, additional money, coming from the claims back from government agencies. If you support certain agencies financially, you can get tax deductions. 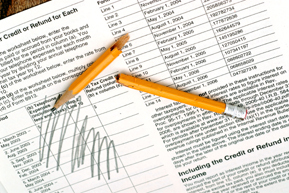 Take advantage of these options and you will be able to enjoy the benefits of tax deductions.